Our planet is in dire need of all the protection it can get, and that is definitely not news anymore. People are trying to come up with more ways to help our planet and ourselves in the process. One of the ways in which you can actively contribute to the health of planet Earth is by eating locally grown food. You might wonder how you eating something produced locally is going to help our planet in any way. We are here today to answer that question. Let’s have a look at all the benefits we can provide the planet with if we switch to locally grown food. 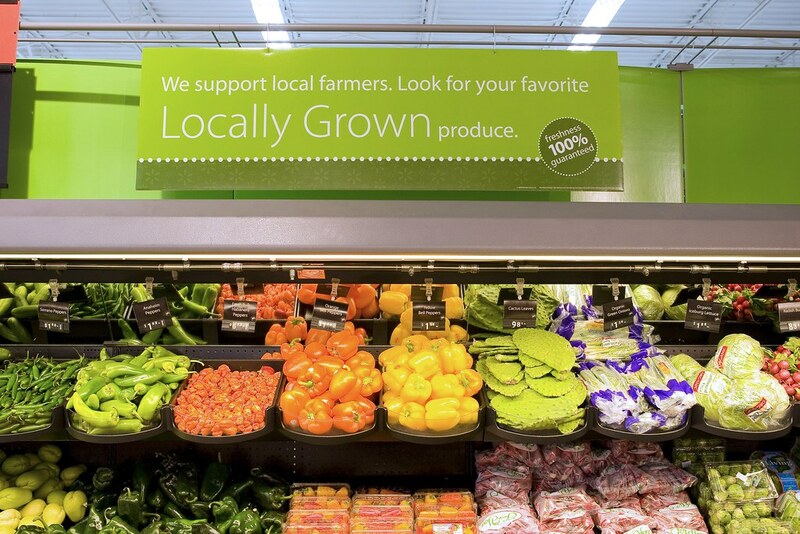 The definition of locally grown food is not something set in stone. Rather it differs from person to person and from community to community. The first type of locally grown food is the one you grow yourself at home. However, when you don’t have this possibility, the next step would be to purchase food that other people grow in your community. The term community and its understanding also differs from individual to individual. We can speak of regional communities or even national communities. Since not every kind of product you might need can grow in your climate, it might be impossible sometimes to buy food grown close to home. However, our planet would benefit even from you buying national products rather than imported ones. Did you know that almost all of the products you eat on a daily basis have traveled more than 1.500 miles until they reached your table? Can you imagine what that does to the process of global warming? Transportation takes up a lot of fuel, fuel which when burned releases greenhouse gases into the atmosphere. Greenhouse gases are the main cause of global warming. Which is why it makes sense to consume locally grown food. That way you diminish the amount of harmful gases that humans fill the atmosphere with. Most locally grown products come from the practice of sustainable agriculture. Sustainable agriculture uses farming techniques that do not hurt the environment in any way. Also, they promote public health, a close-knit human community, and animal welfare. So, if you buy food that is locally grown, you support the practice of sustainable agriculture. Moreover, you make sure you are aware of all the steps that the food has gone through before you bought it. You are also aware of the methods through which farmers produced the food. Let us tell you that these methods are much healthier than those traditional agricultural practices use. For instance, farmers who engage in sustainable agriculture use less pesticides (that also damage the environment), and less equipment that could be harmful. You can also get produce depending on your needs, since the local community is the prime target of local farmers. The industry of locally grown food is also more concerned with land preservation. Since most local farms are quite small, the owners usually live there too. That way, they can provide their farms with more attention than they would a larger farm. They can personally take care of their products and make sure nothing is hurting the land. Moreover, they keep the land for agricultural use while preserving wetlands and forests. Consequently, the habitat is also safe. Animals living there don’t have to find another home because harmful agricultural practices destructed the last one. The environmental impact is visibly smaller when farmers protect the land, sell their products to local markets, don’t invest as much in packaging, and only harvest the food when it is naturally ready to be sold to customers and consumed safely. All these practices help us protect our planet. By eating locally grown food, you can become an agent of change yourself. As we’ve already established, shopping for locally grown food actively helps us protect our planet. First, we get to reduce the number of miles that our food has to travel before reaching us. Then, we also get to eat fresh in the process. Another great way to help our planet is to eat whatever is in season. You can easily accomplish this if you shop locally. The activity of growing food when it is not naturally its time to grow puts a strain on the environment. It also adds even more miles to the transportation process to places that don’t currently have the means to get the products locally. If you shop locally, you get in season food that local farmers have recently harvested, which ensures it is fresh. You also learn more about how farmers produced the food you eat, and have the certainty that it is healthier than products you find in the supermarket imported from some foreign land. Where Can I Find Locally Grown Food? Now that we’ve explained how eating locally grown food protects the planet, we wanted to also mention where you can find such products in case you have decided to try them out. The best possible option would be a farmers market, where a lot of local farmers come to sell their products. There, you get to talk to the people who actually grew and harvested the food. Moreover, you can choose products according to your liking. However, if a farmers market is out of reach for you, you can also try finding locally grown food at the supermarket. All you have to do is carefully read the labels or ask if there is a specific section for local products. Eating locally grown food is a great way to make sure our planet is healthy for a longer period of time. From reducing the emission of greenhouse gases, to helping support sustainable farming, and making sure that the ecosystem is preserved properly, this practice is one of the most important things we can do to help our planet. Not to mention the fact that locally grown food is also healthier for us and our families.